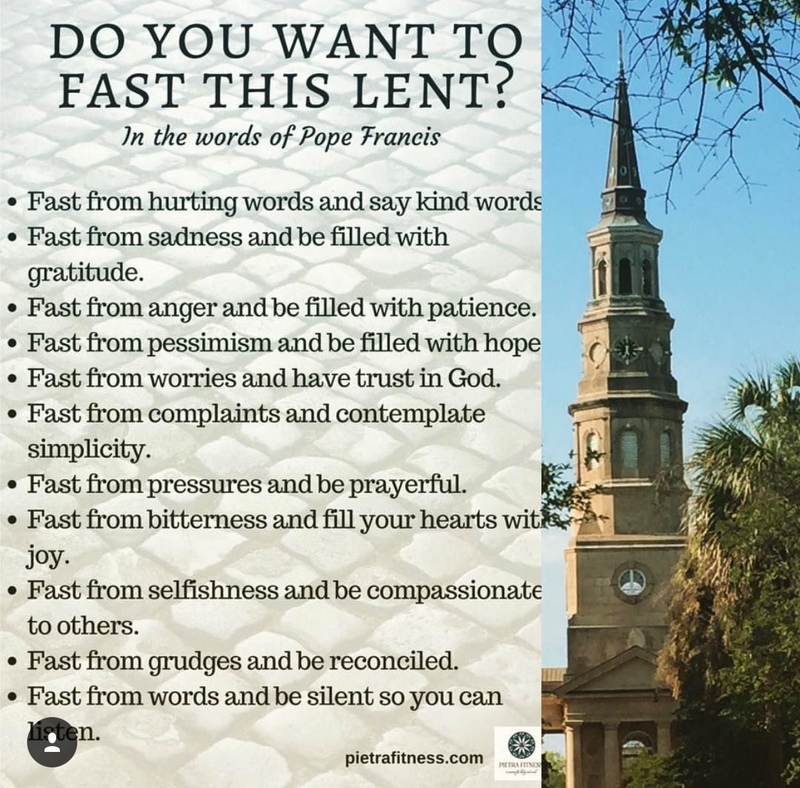 What's the Point of Fasting at Lent? For most of my adult life I have wondered what to "give up" for Lent. I usually choose something I really enjoy to eliminate for the 40 days of Lent. Honestly, many of the years I was just going through the motions and not really thinking too much about what I was doing. After all, all good Christians automatically give something up for Lent, right? 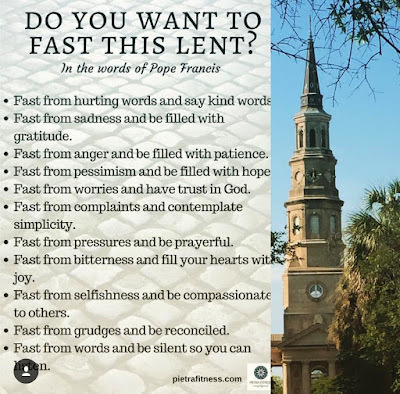 Today we know Lent as a season of conversion: We acknowledge the ways we have turned away from God in our lives and we focus on turning our hearts and minds back toward God. Giving up something for Lent is ultimately a form of fasting. We can deprive ourselves of some small pleasure or indulgence and offer that sacrifice up to God. Or we might give up a bad habit as a way of positively turning our life back toward what God wants for us. Well, my blogging was on hold until I could catch up with life. Reaching a state of normalcy was out of the question these last several months! It is ok because I had no expectations of attaining any normalcy in the midst of our homeschooled daughter's senior year of high school. Today I can officially say we survived this final season of our youngest child being homeschooled during her high school years! What a blur it was but I would change absolutely nothing about the experience. Graduation is over, the parties are over, thank you notes are all sent and here we are preparing for our youngest to go away to college. It will be fun to watch this sweet graduate flourish and bloom in her college years. The Lord has something very special planned for her life. We are praying she continues to pursue the Lord and follow His calling upon her life. God has set the right time for everything. He has given us a desire to know the future, but never gives us the satisfaction of fully understanding what He does.